The gas powered hedge clipper has 24" cutting deck for extended reach, incorporates an adjustable rear handle and includes a soft-grip rear handle. 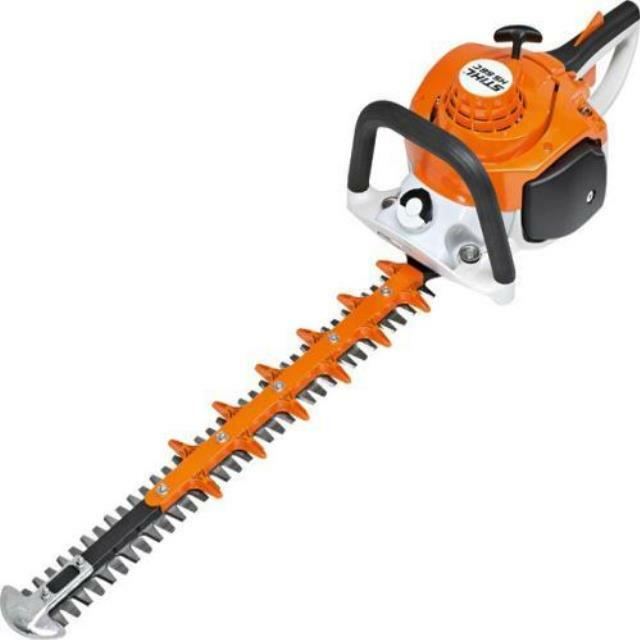 This double-sided hedge trimmer weighs just 11.5 pounds. The double-ground blades offer the power for cutting mature growth and the speed for a precision cut. The rear handle of the clipper can be adjusted to three positions to facilitate cutting on the sides or tops of hedges. Click here for the Stihl HS56 operator's manual.